When it comes to the assassination saga, there are many remarkable individuals. There are several men and women who stand on their own in the drama that occurred in 1865. As students of the assassination though, there are also many people (and aspects of their stories) that we have joined together. There are names and experiences that we have come to almost automatically associate together as a set or a pair. The Lincoln’s guests that fateful evening, Major Henry Rathbone and Clara Harris, are one such couple that, by virtue of engagement and tragedy, are forever linked together as a pair. Louis Weichmann and John Lloyd, as the chief witnesses again Mary Surratt in the trial, share a legacy in books and a recent movie. 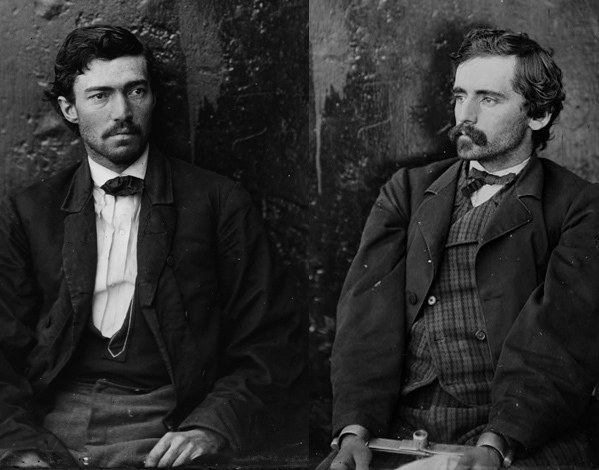 John Wilkes Booth and David Herold are linked due to their shared twelve day escape. In addition to these and many others we have created, two men tried during the summer months of 1865 are interconnected. Though strangers until that fateful year, Samuel Arnold and Michael O’Laughlen, are now rarely spoken of as individuals. Rather, Sam and Mike are a pair. Both knew John Wilkes Booth when they were children. Both joined Maryland regiments in the Confederate army. Both left military service early. Both agreed to aid John Wilkes Booth in his kidnapping plot. Both lost interest and split with Booth before the plot turned to assassination, and both were sentence by the military tribunal to life imprisonment at FortJefferson. They shared such similar lives, it makes sense that one would invoke the other. After reading over accounts of the time that these two men spent together when in the employ of Booth and their subsequent incarceration, one cannot help but imagine a friendship that must have grown between the two men. While all the conspirators started as strangers to each other, spokes connected by the hub of John Wilkes Booth, Sam and Mike appear to share the same values and life experiences that would produce a true friendship. The shared imprisonment would lead to a friendship between Dr. Mudd and Edman Spangler as well, but, in my eyes, Sam and Mike’s had a stronger foundation. While Arnold’s account was written many years after O’Laughlen’s death, the omission of so much regarding him is odd. In truth, it throws a bit of a monkey wrench in my whole, “They were good friends,” hypothesis. If I lost a close, albeit rather recent, friend in jail, I would probably write about him. In the end, I still maintain they two shared a bond of friendship due to a brief mention in an article regarding the other Sam Arnold’s death. So while Dr. Mudd was the man who attended to Mike on his deathbed and Spangler was the one Mike said his last goodbye to, it was Sam Arnold who returned Mike’s effects to his brother Samuel Williams O’Laughlen. To me, that shows a deep friendship. Sam wanted to connect with the family of his lost friend and bring them some comfort. 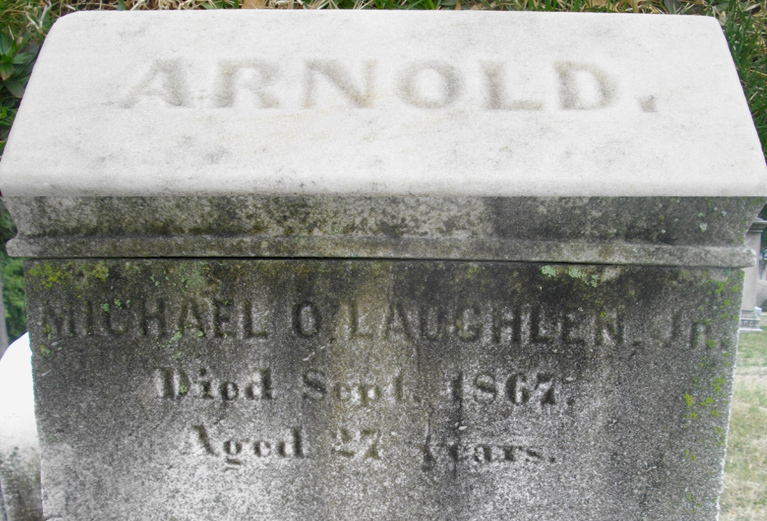 Though O’Laughlen’s brother stated he hadn’t heard from Arnold in 15 years that still means Arnold was in contact with the O’Laughlen family into the 1880’s. Friends do that. They keep in touch with the family and they share memories long after a loved one has passed. In my view, the absence of Mike’s death in Sam’s memoirs does not display coldness. I choose to believe that Sam was deeply affected by Mike’s passing. I choose to believe that the two men shared a strong, emotional bond that kept Arnold from publicly expressing his grief at his friend’s death. Mike is avoided in Sam’s memoirs, not because he meant nothing to him, but because he meant a great deal. While my views on Sam and Mike’s friendship are merely my personal opinion, there is nevertheless a connection between these two men. They shared so much in life, that we have appropriately linked them together. When a discussion of the conspirators arises, the name of one man will almost inevitably follow the other. It appears that Sam and Mike will be associated together more than any other two conspirators, and they fittingly rest in peace in the same cemetery for all time. Very good piece Dave. I had not heard that about bringing belongings back to the family. I think it solves a mystery. At that time he may have told the family everything that needed to be said. There was no reason to put anything in print. One thing that has always interested me about Samuel Arnold is his denial of any Confederate involvement in the plot (as did John Surratt in his lecture). They both come through almost as nothings…… none of my reading has given me much of an impression; whereas i can figure that Herold was an annoying “little blab” and weichmann a nosy, nerdy, unlikable kinda guy, these other two are more like ciphers. I do have one question : was sam arnold realy related to benedict arnold ? that would be an uncanny coincidence, that they both end up guilty of treason…… maybe bad genetics at work ?? who can say.